Showcase your product, service, or cause with that extra-professional touch only decorated tents, table covers, and retractable banners can provide. Artik offers heavy-duty Custom Trade Show Tents in screen printed and sublimated full colour graphic styles. Under the canopy, give away promo freebies on a Custom Table Cloth! 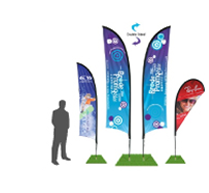 For maximum impact, add Retractable Banners and Wind Flags. 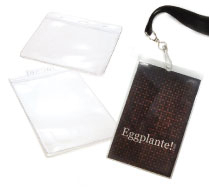 All trade show accessories are designed for quick setup and takedown. Looking for trade show displays & custom exhibit booth tradeshow displays? Come to Artik! 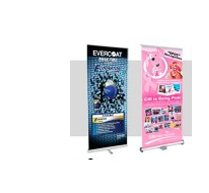 We're Toronto's trusted trade show display and trade show booth printing company. Your company will stand out at the next tradeshow, festival or meetup with a fully customized tradeshow display. At Artik, we'll produce your custom trade show table covers and throws and we'll print custom fabric table covers with fitted trade show tablecloths with your logo on them. 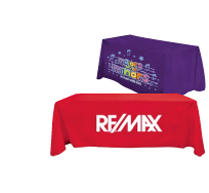 We also produce spandex form-fitting tablecovers and many of our customers order tradeshow table cloths with their brand's image printed in full colour. When you show up to your next tradeshow, don't just bring a few pamphlets, decorate your entire booth with your logo, website and message! 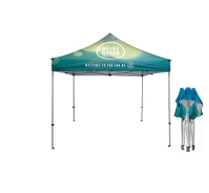 You'll make an impact at your next tradeshow (and every tradeshow after that) with a customized event tent, the perfect custom printed product to get your name out there! Custom Event Tents are large and essential for keeping you table dry and creating a branded space within your booth. Artik is your source for custom event tents in Toronto! What's next? The table in your booth shouldn't just be a blank folding table! We'll make sure your tradeshow booth looks professional and well branded with custom printed table covers, a full colour custom printed banner and flag and don't forget to cover your head with customized event tents for tradeshows. You can trust our Toronto-based team to produce the highest quality tradeshow booth for your upcoming event, we have thousands of happy customers and over 30 years experience custom printing for tradeshows in Toronto. When the whole booth is dressed to the nines, you can't be wearing a boring old outfit! 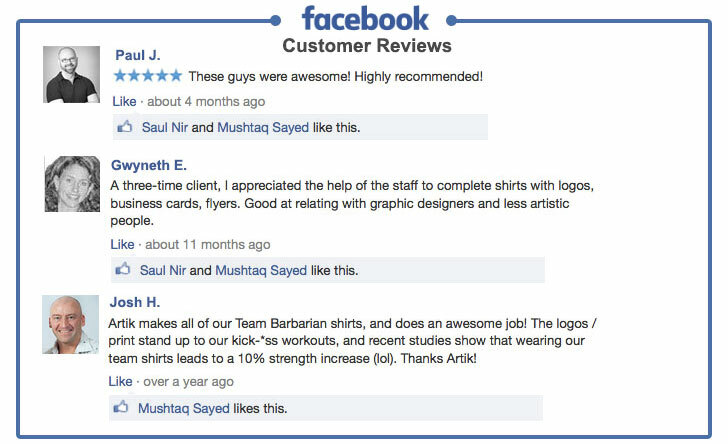 Artik will print custom printed t-shirts with your logo on them, perfect for your employees to represent your booth. 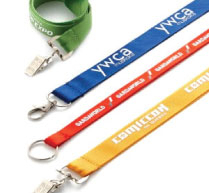 We also produce customized lanyards, custom printed badge holders and custom name tags to complete the ensemble. 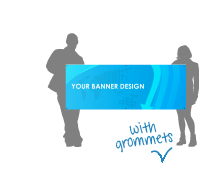 Last but not least, spread your message with custom printed banners for tradeshows! At Artik, we can print stand up banners, retractable printed banners and banners with grommets, all perfect for spreading your message, promoting your brand or advertising your product at an upcoming tradeshow!